If the service is free, you are the product ! They are the digital dissenters. They see tech companies tracking our every move. humans come before robots, algorithms and the needs of Silicon Valley. “Techno-skeptics”, is the current name given to a growing minority of such people. They are emerging today as they don’t want to see a “dystopian” ( or dark/”1984”-ish/police state; the opposite definition of “utopian” ) future form around all of humanity – due to the fact that we are seemingly constantly marketed to and driven to adopt and adhere to ever more digital technology. ‘Humanists’ may be the most fitting new term. The point being made by the Techno-Skeptics, is that our culture, the way it is being influenced, seems to be taking less pleasures in the simple and wholesome family or community-oriented matters, but seems to have an insatiable need for more digital entertainment technology; and ever more more “feature-rich” cell phones, and mobile ‘wearables’, even some wired clothing products that somehow interfaces us to the internet of things, etc. This deep thinking minority group of “Humanists” have grown to believe us humans, and our most important needs and sense of priority, are getting lost in the current technology frenzy. Are we developing technology, such as Artificial Intelligence and robots that is destined to replace most of the human workforce? These techno-doubters are even going so far as to address their views in public, as their thinking is that “too much of a good thing” will have the adverse affect of changing or re-arranging priorities off from what is actually more important: health, sanity, and family. They believe our society is being fundamentally changed for the worse; and it seems they have some good points; so their movement is growing and gaining some notoriety. Many of them also believe we are being slowly micro-wave damaged biologically by the microwave radio signals our cell phones and laptops, and office and home wireless routers constantly emit. If there is truth to that, we should indeed to go back to the drawing boards and invent safer methods of wireless data transmission. An IP (Internet Protocol) address is basically a postal address for each and every Internet-connected device. Without one, websites would not know where to send information/data each time you perform a search or try to access a website. IPv4 offers only about 4.3 billion IP addresses (specifically 4,294,967,296); which you most likely are familiar with already ( x.x.x.x; (1-255).(1-255).(1-255). (1-255) ). Through the use of techniques such as Network Address Translation (NAT) the life of IPv4 was extended, because NAT allows multiple devices to connected to the Internet through a single IP address, with the router in that particular household or business keeping track of which local device are receiving & sending data packets. But without IPv6,the Internet’s expansion and innovation could be limited, and the underlying infrastructure theoretically could become increasingly complex to manage; so a more expansive, address protocol has been deemed necessary. 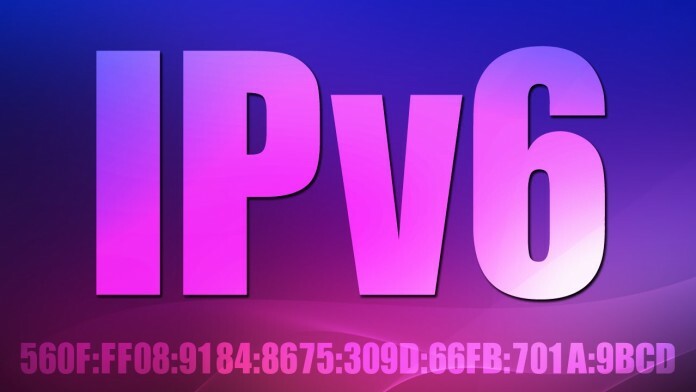 IPv6, the latest – and possibly could be the ultimate addressing protocol, holds 2128 or 340,282,366,920,938,463,463,374,607,431,768,211,456 IP (340 billion billion billion billion) addresses. That is enough to give at least 4.3 billion IP addresses, or the addressing space of the current internet, individually to every person on Earth; or 7 billion current Internets! Why the IPv6 protocol architects decided on such an unnecessary huge address space is unknown; Surely, 264 or 18,446,744,073,709,551,616 (18.4 trillion million) would have been way too many already. It seems like a bad call on the planner’s part, simply too excessive, when instead each packet could contain 64 bits of extra data. However, if we want to ever give an IP address to every mappable cubic centimeter of Earth’s entire atmosphere, IPv6 will provide future generations that capability, and more. What does your website’s “About Page” say to your audience? One page that is most often visited on a website besides the front page is the “About [Us] Page”. People want to know where a particular website is coming from, so they can better judge and trust the source of information or your business. However, most websites don’t utilize the “About Us” page to better form a relationship with their visitors. 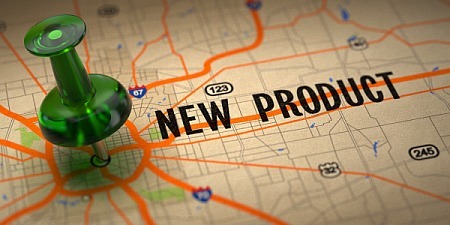 It is often used to present important key information about yourself and/or your business. It is a page that can help you form more of a personal connection with each of your visitors. If people can relate to you or have respect for the history of your business, they will be much more inclined to do business with you. When you elaborate about yourself, your accomplishments, or your business, you should do that in a way that won’t turn off your readers. If you just list your accomplishments, that will likely be off-putting to your readers; which will make it harder for them to relate to you. A way around just listing your accomplishment is to speak of your accomplishments inside of a story, the more humorous the better. People like to have the focus on themselves as well. If your about page just talks yourself and your accomplishments if will be like have a conversation with somebody who is just talking about themselves. So try a different approach and try to make your “About” page about your visitors. One way to do that is to tell them all about the benefits they will gain if they keep reading your website. The aim is to keep it as interesting as possible. If you address their needs right away, they will stick around. There has been a significant change in SEO methods over the past year, but the aspects of keyword research have remained stable. · Analyze your website analytics to identify the set of keywords that are already generating traffic to your site, particular which keywords are most likely generating sales. Then use that information to find new, related keywords, and to build additional content based on those words. · Use keyword research tools like Google’s Keyword Planner, Searchmetrics’ Keyword Analysis tool, SEMrush, Ubersuggest to compare popular keywords and phrases that are not overly competitive. · Focus on longer keywords; as more natural language searching becomes more popular. · Examine the competition’s top-ranking pages to identify which keywords they are targeting. The “old school” concept of link building, which mainly consists of reaching out to other sites to exchange links, or manually submitting your domain to web directories, and placing “spammy” comments and forum post, is still dead and buried, maybe forever. Savvy users know that these previous link building tactics are not only ineffective; they can cause ranking penalties to their site. However, the emergence of non-linked mentions (so called “implied links”) are now being considered in the ranking algorithms. This has changed the perspective across the industry on link building; and it has become apparent that building a brand is more important than building links. Business owners and marketers should be working towards organically building links through publishing high quality content.